Over the years, researchers have conducted countless studies that back up the truth of this ancient proverb--people learn and retain more when we engage more of their senses. So what does this mean for us when we're selling experiences? It means that we must do a better job of engaging our guest's attention and holding it in order to elicit a YES response to one of our premium offerings. In previous issues of Monday Morning with Marty, we've covered the importance of using Winning Words and Awesome Actions to hold our guest's attention. This is no small order especially when you consider that sales environment are oftentimes distracting and over-stimulating (i.e. nearby arcade games, flashing lights, roller coasters roaring by, etc.). So how do we do it? How do we hold our guests' attention, communicate the right message, and generate excitement toward the purchase of a premium experience? Let me tell you how we did it at one Las Vegas attraction. SEE. Show me what's inside. We built an amazing façade. 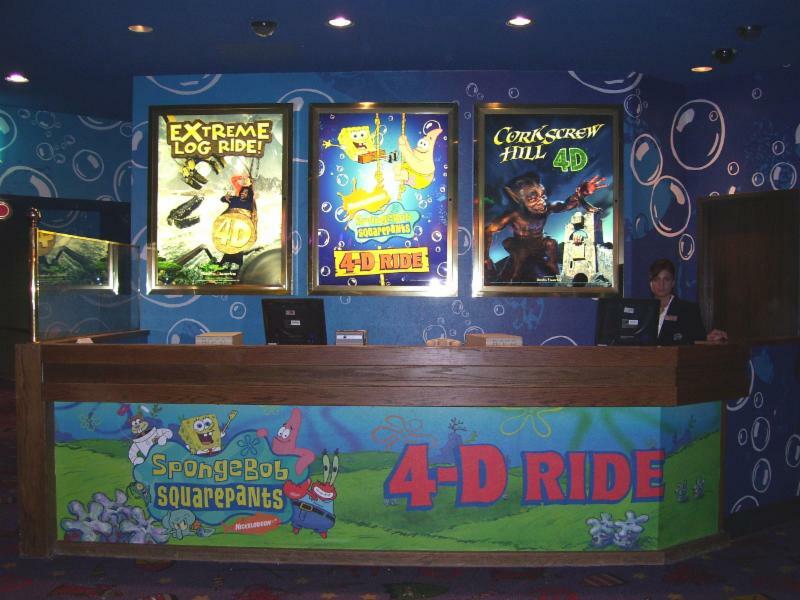 Excalibur's SpongeBob SquarePants 4D Ride façade was world-class. The façade combined multiple elements including a colorful backdrop featuring many of the SpongeBob franchise characters, a flashy Vegas-style marquee sign, life-size cutout characters, and even a fiberglass replica of SpongeBob himself. The façade was eye-catching, playful, and engaging drawing guests in from far across the Fantasy Faire level of the resort. DO. Put me there, even if for just a moment. For prospective buyers to say "Yes," they need to understand what the product is. Answering the question 'what is 4-D?' isn't always easy. Instead of just hearing a description of what 4-D is, we wanted them to actually experience it--even if only for a moment--but how could we do this effectively before they were on the ride? The answer was bubbles--lots of bubbles! We installed a bubble machine adjacent to the POS counter. Kids went crazy...and their parents headed to the ticket counter to book the next ride. The SpongeBob SquarePants 4-D Ride is a great example of how effective visuals and participatory engagement can be combined with the right sales dialogue to focus guest attention. Everything speaks and everything within the sales environment can be tweaked to help you tell your story. When this is done effectively, it makes the sales team's job easier and they become more efficient. They spend less time explaining packages and more time selling them. Are you selling it effectively? Does your sales environment reinforce the story you're trying to tell? Knowing the answer to these questions will put you on the right path to a guest arrival experience that engages, excites, and drives more revenue to the bottom line.